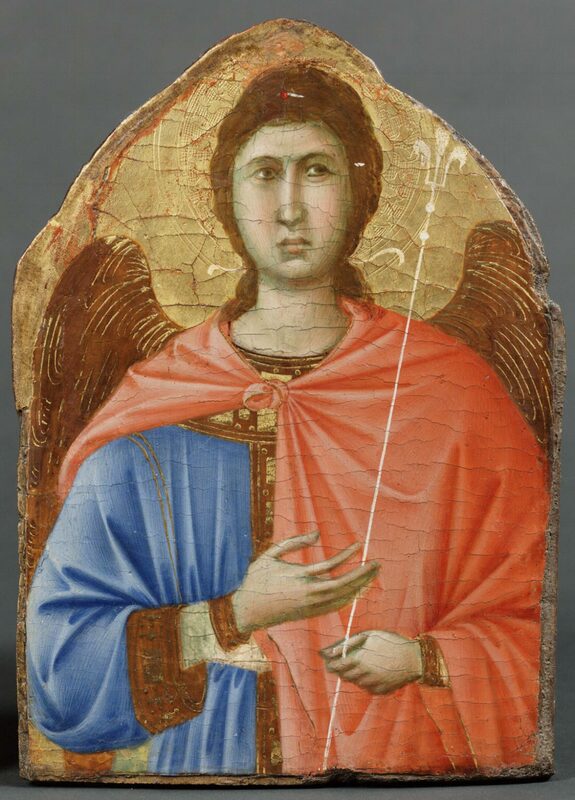 The wand in the angel's hand identifies him as an archangel. With these wands the archangels expelled Satan from heaven, thereby securing their privileged position as messengers of God. This panel comes from the pinnacle, or top section, of Duccio's large altarpiece known as the Maestà, which he made for the cathedral of Siena. Maestà is an Italian term for a depiction of the Virgin in a heavenly court. The altarpiece was disassembled in 1771.